Most runners expect to complete a race to the sound of spectator cheers, announcers calling out finishing times, and some high-energy music from the post-race party. 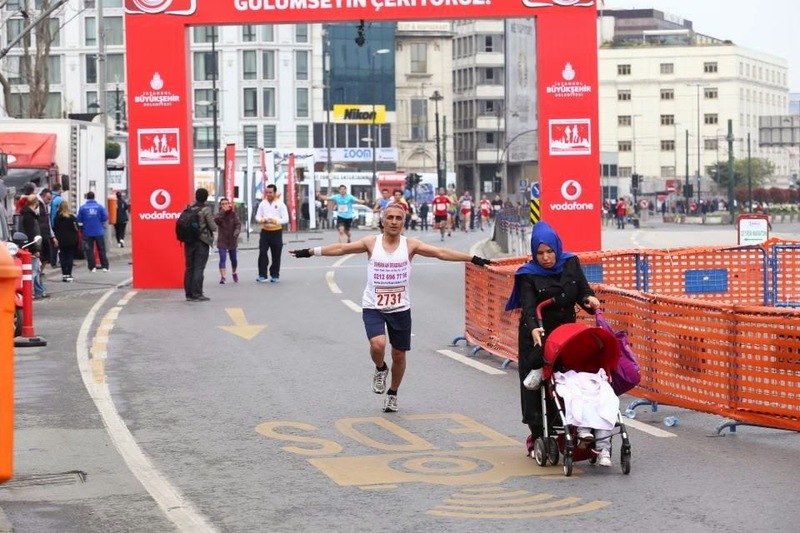 What participants in the Istanbul Half Marathon on Sunday heard at the finish line instead were religious chants and songs, amplified to ear-splitting volume, from the gender-segregated celebration of the Prophet Mohammed's birthday that some city official had apparently seen fit to schedule for the same time in the same concrete wasteland, er, "meeting area." The incongruous pairing could be seen as a metaphor for the mix of ideologies and cultures jostling, not always comfortably, up against each other in Turkey. It certainly created humorous juxtapositions, with lycra-clad women -- some stripping down to their sports bras to change out of their sweaty race shirts -- gathered on one side, those swathed head-to-toe in black robes (an unusually conservative mode of covering for Turkey) on the other. Certainly, local flavor can add to the racing experience: Running past tanks and military bands along the route, and having the post-race entertainment include a show of soldiers performing rappelling demonstrations from helicopters hovering overhead made completing my first-ever 10k as part of the Beirut Marathon particularly memorable. But after an 8k, a 10k, two 15ks, and a half marathon's worth of Istanbul races with chaotic starts so jam-packed as to drive people to walk on top of the portable toilets to bypass the crowds; emptied-out water stops; nonexistent crowd control; self-aggrandizing speeches by public officials who've done nothing to encourage sporting culture; mis-calculated route mileage; spectator-less sidelines, cars zipping onto the course before the race is over; and bag-retrieval melees, someday running a properly organized race is going to seem like the real novelty. I ran the Geyik Kosusu in the Belgrad Forest in February and that was actually well-organised. 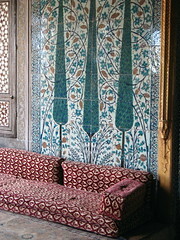 It's the same people that do the Iznik Ultra, I think. Love the photo. I took a few while waiting for Barry to come in - never sure if my brain is laughing, crying or just confused and bemused when I see all these events taking place together. Sunday's occurrence was more than interesting, though.